WHAT HAPPENS AT THE REFRESHER TRAINING? We will ensure that students are either taken through your company’s safety check list and operations in using your equipment or one can be provided by ATLAS Training these checklists are free of charge and part of our commitment to your best practice. The training modules are set to the National Assessment Instrument for Load shifting Equipment and competency standards of the National Occupational Health & Safety Commission NOHSC:7019 (1992)". These standards create uniform operation and assessment throughout Australia. General Driving Procedures including identifying hazards, pedestrian safety, attachments, and identifying any bad habits that may have been picked up and explaining the fines and consequences for such actions. WorkCover Infringements that can apply to the individual student and any new legislation. A certificate relevant to the applicable training is provided to each student and any areas of improvement communicated to the student and the employer. ATLAS Training – Workplace Training Specialists come to you and will spend time onsite to ensure thorough refresher training is personalised specific to your workplace. This should help reduce accidents, stock and equipment damage and any unnecessary downtime, workplace injury and increase safety awareness and productivity. WHAT DO WE SPECIALISE ON? HOW MANY STUDENTS ARE REQUIRED AND FOR HOW LONG? Refresher training takes place with a minimum of 3 Students and a maximum of 6 students and takes place for 2 Hours per session. 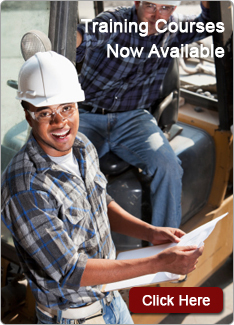 ACT NOW and ensure you comply with your OH&S requirements.